Photographs courtesy of photojournalist Anthony S. Karen. A close friend from the Pine Ridge Indian Reservation in South Dakota, home of over 40,000 Oglala Sioux, posted some devastating news on Facebook a few days ago. A family member had committed suicide, and it was the second suicide in the family within two days. These were girls 13 and 14 years old. This is devastating news for anyone, in any family. But in Pine Ridge, like other indigenous communities who are facing a reality of existential distress while still determined to keep the strength and integrity of their cultural identity at the forefront -- after a history of genocide and systematic attacks by governments, religion, among others against their heritage -- this is not unusual news for the families who live on the reservation. Rather these are unnecessary casualties in an epidemic that has become more pronounced with time. Having been to Pine Ridge in 2013 to do a story on Lakota Veterans (which can be seen here), we had become close with certain members of the tribe, so that when hearing about what was happening on the reservation, there has been an indelible sense of connection to the place and the people. The Pine Ridge Reservation, one of seven recognized reservations of the Lakota, has some of the most beautiful natural landscapes in the West. It also has a pervasive poverty that is just as easily seen. The wealth of beauty is contradicted by the reality the Lakota are forced to face in terms of socio-economic development and its lack thereof, gang activity, substance abuse, and violence--assault, murder, sexual violence, domestic violence, and self-inflicted violence. Pine Ridge has the highest murder rate of any reservation. It also has the lowest per capita income. Additionally, there is some evidence, revealed during the course of researching our previous article on Lakota veterans, that the United States government still holds the overall reservation responsible for incidents in the 1970's -- the Wounded Knee Incident and the deaths of Federal agents during the standoff that led to Leonard Peltier's infamous arrest and subsequent incarceration. 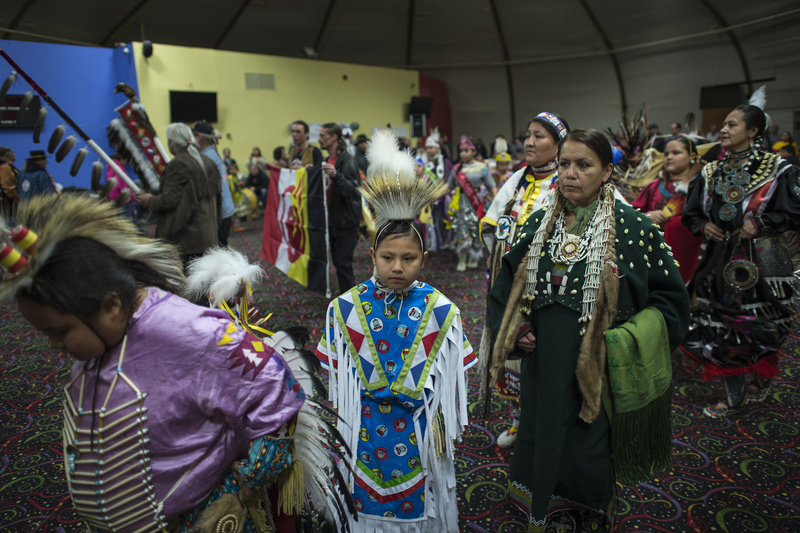 This has created a history of indifference, if not outright hostility, when it comes to the community of Pine Ridge, who for the most part have been ignored, if not subjugated to continued discrimination. "I just learned last night that the son of a close friend of mine, arguably the most successful Haida artist, committed suicide. Word of suicides in native communities come to me with the regularity of a north wind. Were such rates of self-inflicted death to occur among white kids in any town in America it would generate international news. Instead these agonies of native families are ignored, or at best it seems dismissed as but the final act of the Conquest." The conquest, in this case, is that of indigenous lands and peoples of North and South America, while also representing, in its even broader macrocosm, the similar tragedy of the systematic destruction of the lives, cultures, and natural environments of indigenous populations internationally, on every continent except Antarctica. What "civilization," international business, governments and development have wrought have in many cases been nothing short of an eradication. And this has been the case for over 600 years. While the term "cultural survival" has been a catch phrase among indigenous rights movements, literal survival in the face of what could, in terms of international law, be considered a history of genocide, ethnic cleansing, and crimes against humanity is as important a consideration, and especially among the youngest members of tribes, including the United States, who most often, have the shortest life expectancy of any other population. One ­quarter of Indian children live in poverty, versus 13 percent in the United States. They graduate high school at a rate 17 percent lower than the national average. Their substance­abuse rates are higher. They're twice as likely as any other race to die before the age of 24. They have a 2.3 percent higher rate of exposure to trauma. They have two times the rate of abuse and neglect. Their experience with post ­traumatic stress disorder rivals the rates of returning veterans from Afghanistan. But it is perhaps, as I suggested here, in terms of communities under stress, and more importantly has been a fundamental belief of many tribal elders, the traditions of a people, which are fundamentally applicable in this case among the Lakota, might indeed prove to be a saving grace, including among the youth of the tribe. Resilience, while being yet another modern catch-phrase popular among current policy and academic contingents when dealing with certain crises or trauma, is indeed relevant. Returning to the foundation of a culture for strength and empowerment is paramount to ensure a tribe's survival. Honoring the past, including the strength and the power of ancestors, and using the emotional, psychological, and spiritual profundity of rites and ceremony to forge a connection among community members, empower individuals of the tribe against past legacies of internment, forced assimilation, murder, outright racism and hyperbolic misrepresentations of popular culture, to the continued mistreatment by governments that still seem to consider tribal members -- in practice if not in so many words -- as inconsequential, if not less than human. The Inipi (Sweatlodge) is the second sacred Lakota Rite. Inipi means "to live again" and it is the rite of purification. This particular rite is done before any significant undertaking to cleanse the mind and spirit. The Inipi rite will help the vision seeker to enter a state of humility, thus undergo a spiritual rebirth of sorts. Considering the youngest generations of the tribe are, every day, forced to deal with the realities of and lack of visible parity between often two different worlds, there is a fundamental need for some means to heal the chasm rather than force continued salt, mixed with ancestors' blood--and even their own--into centuries' old wounds. Some of these wounds are fresh, and some of the youngest members of the tribe are not surviving them. 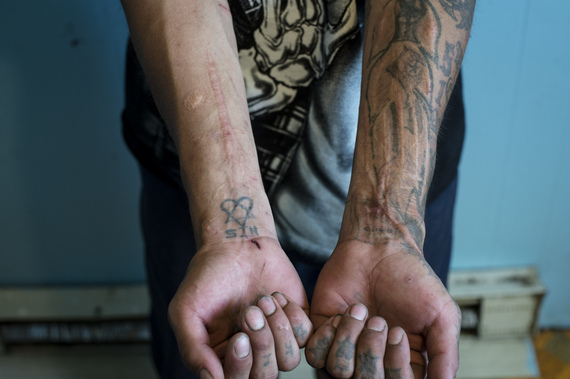 Evidence of suicide attempts mark the wrists of this Lakota teenager. It is here that elders, I hope, will take the responsibility within the tribe to help heal the younger generations, while other adults take up one hell of a necessary gauntlet to continue to champion a sense of awareness not just among communities outside the reservations or tribal areas, but also force governments to deal with these crises head-on, considering their overwhelming complicity in the conditions these communities face. This is a massive responsibility to be met, but it's a necessary one. The history of cultures like the Lakota should be enough of a source of pride to all -- not just to the Lakota themselves. They are, like all other tribes and indigenous populations on almost every continent, woven deeply into the fabric of our history, past and present -- and represent a direct connection to the greatest and oldest of human wisdom, considering especially what overall humanity faces in terms of the kind of cataclysm of which we seem so inherently capable. These younger generations are the inheritors of more than a legacy of violence--they are also the inheritors of this wisdom and culture that can be honored and shared among more than the tribe alone. However, we need to remember that these young men and women are forced to hold the key to bridging often different and conflicting worlds, considering we, as older generations, have not been so successful during our own time. It is a massive responsibility, on individual, community, tribal, and national, if not international levels, if dealing with indigenous rights, history, and knowledge as a whole. The pressure is immense, and some are not surviving it. So we need to protect and strengthen those who are to take on that role, not let them feel as though they are powerless, invisible, or insignificant, whether facing personal and/or societal challenges. To speak a little more plainly here, these young men and women, like any of the younger generation on our planet, are sick of our failures, and our rather impotent excuses. They as a whole are worth our lack of solipsism and pronounced self-absorption, and we owe them that. We owe them a hell of a lot more than we have given them thus far. 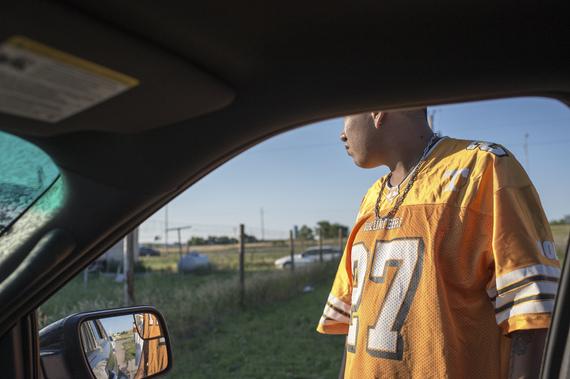 Youth on the Pine Ridge Reservation are beset by gang activity, substance abuse, and violence, causing intensive trauma and the shortest life expectancy of any reservation in the United States. I'm going to close this with a letter I received from the friend I mentioned at the beginning, the wife of a 38th generation medicine man in Pine Ridge, whose family members just killed themselves within two days of one another, which she announced to her friends on Facebook, overall not asking for prayers for herself and the family, but more for the younger generation. Perhaps she will say what needs to be said, better than I, about the tribe in which she has lived. It is with a heavy heart that I share what is happening on the Pine Ridge Indian Reservation in South Dakota. I know for most of you the Native American is invisible to you and yet, you have experienced the riches of this beautiful country that you live in because of what was taken from them. For the past two years we have been trying to figure out what we can do because our children are killing themselves at an alarming rate. But it is even escalating to the point that our Tribe (Oglala Sioux Tribe) declared a state of emergency a few weeks ago because since the beginning of January we have had seventeen attempts of children (mostly 12 to 14 years old) that have tried to kill themselves; it breaks my heart to say that eight of them succeeded. But again, this is not just something that is new -- last year there was one month that 34 kids across the reservation tried to kill themselves, I think five of them succeeded; another month 24 tried and four of them succeeded. 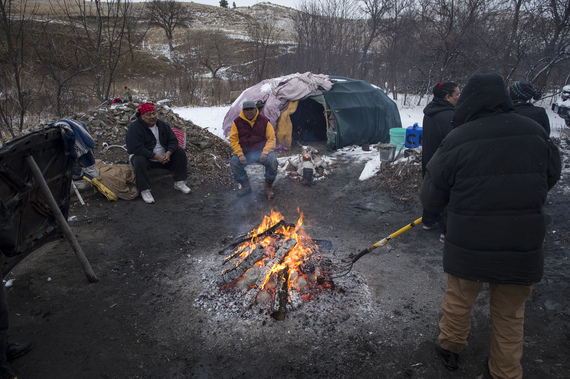 But if you consider that we, here on Pine Ridge, have one of lowest life expectancy in the Western Hemisphere, second only to Haiti, one would see that there are other ways that the people here are killing themselves. And yet, you see the people and our government doing wonderful things for the people of Haiti and I believe we should. But the people in the heart of our country need help also. Because if you look at the life expectancy, you will realize really the people are killing themselves in other ways, be it alcohol and drugs, our infant mortality rate four times our national average, or diabetes eight times the national rate or cancer from the uranium trace elements or the .5 arsenic we have in our water from the uranium mining in the Black Hills. Let me give you a look into this beautiful people and land. My husband's grandfather, who helped raise him for the first 16 years of his life, was a survivor of the Wounded Knee Massacre, "the last Indian war." He was nine as his brother threw him into a dry creek bed and told him to run towards Pine Ridge, as he was being shot. That was December 29, 1890. In 1934 my husband's father, along with the rest of the children on the reservation, was put in a residential school at Holy Rosary Mission, where Red Cloud School now resides. At six years old his head was shaved and was told that his father and his grandfather were the disciples of the devil because they were medicine men. His mouth was washed out with soap and hands beaten if he spoke Lakota, which was the only language that he spoke. But worst of all, even though his family lived just a few miles away, he could only spend time with them for the two months he was allowed to go home for the summer. Everything that was Lakota was shamed and was told was "lesser than." We now know from research that behind most addiction is shame. His son (my husband) and this generation also had to go to the residential schools; two generations was all that it took to devastate these people. It destroyed their culture and their language; and because a child learns what it sees, they have no parenting skills now. So we live a life devastated with addiction, dysfunction, and a loss of identity and self, which translates to becoming invisible by killing themselves. Thomas Berry, the noted environmentalist, wrote in his book, Dawn over the Earth, that what we end up doing to the Native Americans, we will end up doing to the earth, and ultimately what we do to ourselves. We had two women who came here last week to address the trauma that our children and schools are having right now due to this epidemic of suicides. They have been visiting schools and families all over the reservation. I praise their work as they have gone all over the world to deal with the trauma with the earthquake and civil war in Haiti to war zones. 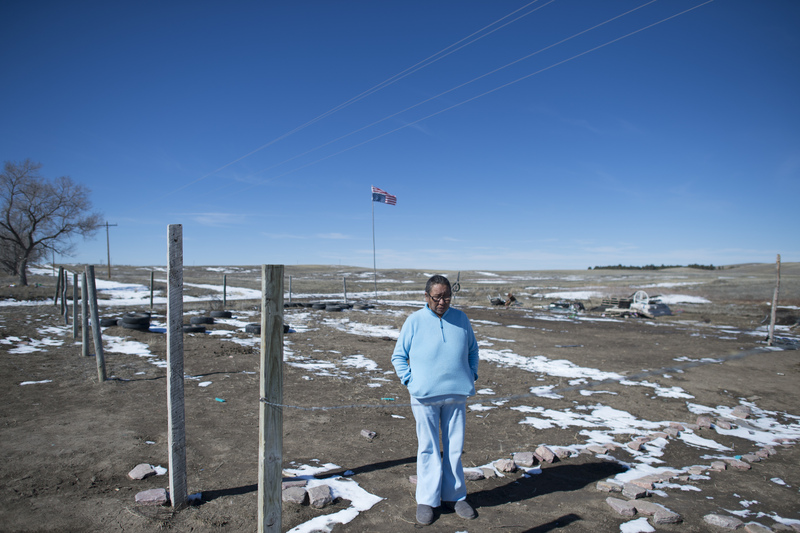 She said, "the whole world is going through some really hard things right now but I see Pine Ridge as like what the canary was to the mines." I thought that very insightful as living here for the past 25 years, I felt so too. So what do we do? There are many things. 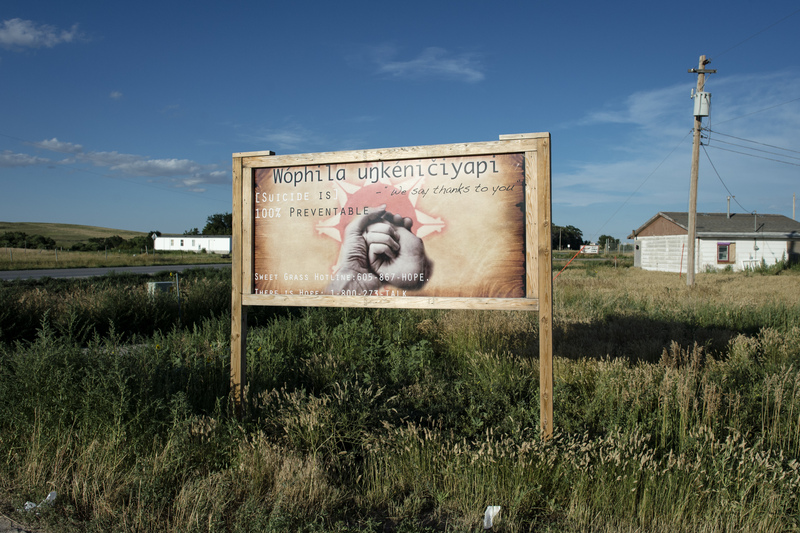 For our small non-profit organization, Oceti Wakan, my husband and his father, spent their life striving to give back the Lakota culture and language to their people. Now we are in the process of designing a medicine wheel approach after school program with seven years of curriculum (2nd to 8th grades) life skills to learn how to make healthier choices which includes a Parenting and community handbook on skills to help their children if we find the funds to fulfill our goals. We have a Jr. Youth Group and children classes to help them develop spiritual virtues and the knowledge how important it is to be of service to the people but we need a building for a wellness center. It is so hard to do the work we want to do without a building. Another wonderful organization, One Spirit, is developing the first youth center that will open this month in the small community of Allen, with the hope of putting one in every community, a dream I've had for years. They even have a food program to feed the people for the past two years. And there are other organizations, Re-Member being one, that are making a difference but just too few. But all these great ideas and many more need funding to really become a reality and funding is slim in Indian country. We have close to 40,000 enrolled members of the Oglala Lakota here on the second largest reservation in the country and over 25,000 live here and most others in many towns around the reservation to get work. We have 83 percent unemployment with an annual average income of $4,000. We are about the size of the state of Rhode Island and yet you can't buy a piece of clothing, a piece of new furniture, or take your car to a garage for repairs. We have to take all our business off the reservation in towns that are 45 minutes to two hours away. You name me any town in America, which has our population, that has to deal with these living conditions. With over 70% of our children not graduating from high school because they have no hope of life being different than it is here, our problems are complex from most of the land is in trust that belongs to individuals, so these individuals can't go to a bank to fund a business, while not having the tools to deal with today's world. I would have never believed this reality had I not lived here for 25 years. I believe that we owe the Native Americans of our great land a debt that we need to pay. As my husband once asked me, if my grandfather stole your grandfather's land and all the ways that you made your living, and now you see those families living in devastation, do you owe them anything? I think we do if we look at this morally and ethically. We give help to nations all over the world, and to be fair, our government has some wonderful programs available if you have the knowledge how to write a successful grant. But our health care is much less per person than even Medicare or Medicaid; what we pay per child to be educated on the rez than off is less than half of the poorest schools in other towns. I could go on about the injustice that has happened to the Lakota people, but I think I have shared a picture with you about why our children are killing themselves. I felt you should know. But know that our tribal government is as dysfunctional as the people. But I believe the American people are generous people if they knew that this is a reality not only on our reservation, but on most the reservations across this country. I pray that some of you will see a way to change this.